Seller will give you a gift certificate in the amount of 131,9 RUB for a positive review of the product purchased. 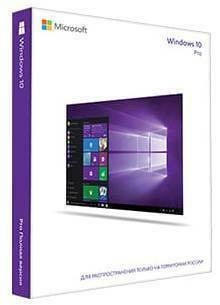 Microsoft Windows Professional 10 32-bit/64-bit All Languages PK Licence Online Download NR (FQC-09131). Seller will give you a gift certificate in the amount of 131,9 RUB for a positive review of the product purchased..